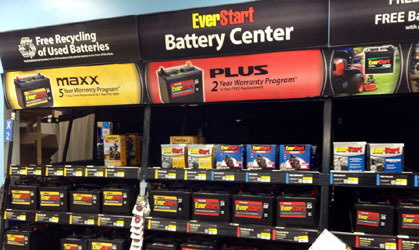 EverStart battery combines both reliability and affordability. So if you need a quick battery change on a tight budget but still wants to have that peace of mind for a couple of years, this battery brand should be considered. Rely on this battery name to power for vehicle, home and gardening tools, sporting or recreational vehicle, etc. That is aside from the fact that it is available in all Walmart stores making it extremely accessible. 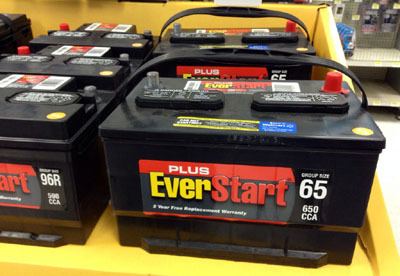 EverStart is a battery brand exclusively distributed and sold by the retail giant Walmart. Its developer and manufacture is the Milwaukee based company Johnson Controls. Though not that popular, Johnson Controls is a giant company producing automotive interior systems including electronics and batteries. It also has a global reach with markets, offices and production facilities scattered across the six continents. 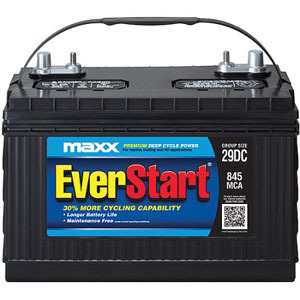 As an EverStart battery guide, its battery line sold by Walmart includes the automotive, marine, lawn and garden batteries and those for power sports. Almost all essential battery and power accessories are also offered by the brand. Automotive batteries. These are the most basic and popular battery sold by the brand, those intended for your vehicle. Aside from the varying sizes, there are two major categories for these batteries, the EverStart Plus and the EverStart Maxx. The Plus tag is the basic or ordinary types while the Maxx are the longer-lasting ones with 5-year extended warranty. Marine batteries. The EverStart marine battery is the heavy-duty type. Compared to the basic lead acid type which delivers huge energy but less sustaining, the marine or deep cycle types are capable of delivering constant rate of energy for a longer period of time. So if you need long lasting power for your vehicle or even household power needs, this is the best type to choose. Lawn and garden batteries. The brand also creates batteries for your lawn and garden power tools like mowers and grass cutters. PowerSport batteries. 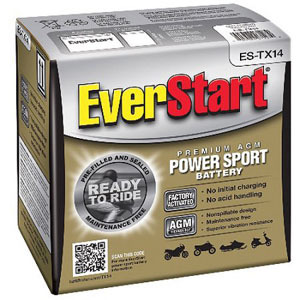 Perhaps, the PowerSport category is the most advance battery EverStart offers. As its name suggests, these types of DC power banks are designed for your sporting vehicles like big bikes, racing bikes, snowmobiles, etc. With these batteries, you can be assured of quality make and efficiency at a relatively cheaper price than the other brands. Batteries (especially for the automobile) clearly labeled with “N” or “S” and CCA for the best decision making. N or North is designed for the cold northern regions while the S is intended for the warmer south. Benefit from the extended warranty that could rival the top selling brands. The EverStart battery Plus has a minimum warranty period of 2 years while the EverStart Maxx has an extended lasting warranty of 5 years. Take advantage of the free consultation, testing and installation offered by Walmart in its nationwide stores. So for your ever starting and ever lasting battery needs, choose the name that guarantees it on its label. Choose EverStart! © Copyright 2019 - EverStart Battery. All Rights Reserved.